At Nacht & Lewis, the doorway to the main floor is framed by two distinct pieces of art. One was a drawing from the late 1800’s by Leonard Starks, the founder of Nacht & Lewis. Carefully ruled lines and angles marked with a drafting pencil detail delicate filigree and facade to fill the yellowed paper. The other, a stark contrast, was hung recently: designed, printed and assembled almost completely by computer. It’s a bright, glossy paper form of abstract angles that represents the modern undulations of buildings and cities. Through the doorway, Nacht & Lewis continues the innovative creation process Starks began over 90 years ago. With expertise in education, health care, justice and public safety, Nacht & Lewis has built some of Sacramento’s — and California’s — most iconic and useful structures, from municipal buildings to high schools, crucial resource-processing plants to specialized housing developments. Starks’ DNA is practically written into the Sacramento skyline, on the Elliot and Arnold Brothers buildings in midtown, and the Elks Tower and Main Post Office in the heart of the city. Starks set the bar high for his firm’s legacy, and the intergenerational strengths of Nacht & Lewis are clear: The tools have changed from T-square to virtual-reality goggles, from paper to screen. Having expert architects with decades’ worth of experience, matched with newly-educated designers who cut their teeth on bleeding-edge technology has kept the firm nimble. Andrew McPherson, director of design and vice president at Nacht & Lewis has been with the firm for 25 years. He started his education in 1965, coincidentally the same year Leonard Starks retired from Nacht & Lewis. This was when pencil and tracing paper (“onion skins” to the old guard) were the mainstay of an architect’s armory. “Going above and beyond on a project at the time meant a bulletin board with inspiration photographs, maybe building a cardboard model,” McPherson recalls. Post-war American architecture was a breeding ground for functional spaces that used modern materials to create an artistic lilt. “If your brain was one cell thick, you wouldn’t be able to support your mental infrastructure,” McPherson analogizes of the era’s architectural trends. “The brain is compact and communication is very efficient: Cities and buildings can do the same.” He, like many of his generation, helped changed the industry’s philosophy and values, prioritizing operational improvements and quality of life for those who worked and lived in the spaces they designed. Starks was an early adopter of new technology even back in 1927, when he hired an acoustical engineer to help design the now-gone Alhambra Theatre in Sacramento, something not really done before. Laura Wood, Nacht & Lewis’ virtual design coordinator and a 2005 graduate of Southern California Institute of Architecture, continues that tradition by bringing a technology expertise to clients who are interested in trying new ways of enhancing and designing spaces. Brian Maytum, vice president and principal-in-charge, bridges the age gap between McPherson and Wood’s skill diversity and conceptual evolution. Maytum still values hand-sketching, but also fondly remembers his trial by fire learning computer-assisted design right out of school in the early 1980’s. “Everyone had drafting desks then, about five feet long and some 30 inches deep, with a horizontal parallel rule,” Maytum recalls. “When that day came, we pushed the rules up to the top, sat a 50-pound monitor on the desk and a computer underneath — and that was it.” The intimate craftsmanship of pencil made firm with ink on large swaths of paper is far from gone, however. Concept art from recent and past projects hang on the far back wall of the work floor at Nacht & Lewis. The ones on the left are computer-generated renderings of a high-tech energy project that never came to be. They’re crisp, with a defined perspective, rigid lines and bold color. Sketches of what became the Sacramento Zoo’s hands-on Giraffe Exhibit in 2010 occupy the other half of the board, with watercolor-washed pages of hand-drawn families enjoying pastel animals and trees. Side-by-side, it’s clear how social, environmental and technological changes are creating new breeds of spaces, and opportunities for architecture to be a driving force for innovation. Whether it’s technology changing the way buildings are conceived and constructed, or emerging social trends transforming our interactions with traditional spaces, architecture has to keep up — and take the lead when it can. The architects at Nacht & Lewis are problem-solvers, anticipating changes in our use of structures, while creating the possibilities for more to come. 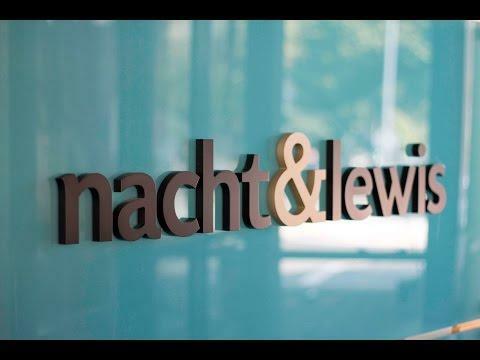 Nacht & Lewis offers a full array of planning and design services tailored to each client and project. Find out more by visiting nachtlewis.com.